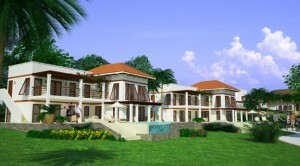 Roatan, Honduras – Pristine Bay Resort and the Black Pearl Golf Course, one of the western Caribbean’s more anticipated residential and resort communities and championship golf courses, announces its one- and two-bedroom luxury villa suites will be ready for occupancy in six to nine months. Starting at $350,000, the villa suites run from 832 to 1,185 square feet and are ideal for retirees or second-home owners. This announcement comes in concert with news of the Black Pearl, Roatan’s first golf course, opening for play on January 1. Designed by the legendary father-son duo of Pete and Perry Dye, the Black Pearl features 14 holes with ocean views and a Dye-signature, island-green par 3. Pristine Bay Resort, in partnership with Lancaster Group, will be the island’s first five-star hotel and is slated for a “soft opening” in April 2010. Two-, three-, and four-bedroom free-standing villas are also available starting at $620,500. Condominiums are another option, ranging from $348,000 to $700,000. Phase I and II residential lots, many with unobstructed ocean views, begin at $250,000 and range up to $1.2 million. 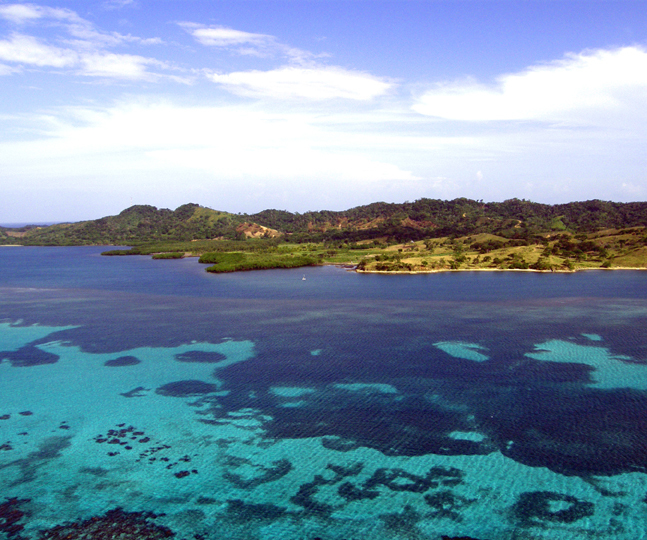 Roatan has exceptionally favorable property and tax laws for foreigners. They can own up to three-quarters of an acre and Pristine Bay offers all-important title insurance. Property taxes are approximately $1.30 for every $1,000 of assessed value and there are no income tax, sales tax or import duties. “You only need to visit us once here in paradise and you’ll want to live on Roatan for the rest of your life,” Toriello says. Located on the lush, tropical island of Roatan, 35 miles off the coast of Honduras, Pristine Bay Resort, in partnership with Lancaster Group, is situated on a 400-plus acre site adjacent to the Caribbean Sea. The azure waters off the coast of the island, enhanced by the world’s second largest barrier reef, provide a stunning backdrop and one of the truly unique settings for golf in Central America. The Black Pearl, Dye’s first project in Honduras and Roatan’s first golf course, is an 18-hole, par-72 resort layout measuring 7,179 yards from the back tees. The course starts at the ocean’s doorstep, rises into the island’s rolling foothills, then takes golfers on a wild ride back to the seaside clubhouse. It will feature one of Dye’s signature island greens, and 14 holes will offer stunning vistas of the ocean and the Meso-American Barrier Reef. Pristine Bay Resort features a wide variety of residential products including: bay view and golf course condominiums, two-, three-, and four-bedroom villa units and one-quarter-acre custom home lots, many with unobstructed views of the ocean. Villas start at $620,000 and range up to $1 million; Phase I and II lots are priced from $250,000 to $1.2 million; and condominiums from $348,000 to $700,000. A 155-slip full-service marina located near the Black Pearl clubhouse will provide deep-water access for a wide variety of sea-going vessels. Residents and guests will have access to the ocean-front Bay Village at Pristine Bay with boutiques, art galleries, restaurants, cafes and other entertainment options. The 120-room, five-star Resort and Spa at Pristine Bay, to be managed by the Lancaster Hotel Group, is scheduled to open in April 2010. Roatan International Airport (RTB) is served by nine weekly, non-stop flights from the United States (Houston, Atlanta, Miami and Newark) on Continental, Delta and TACA. Flights to the island through the Honduran cities of Tegucigalpa and San Pedro Sula and San Salvador, El Salvador are also available.